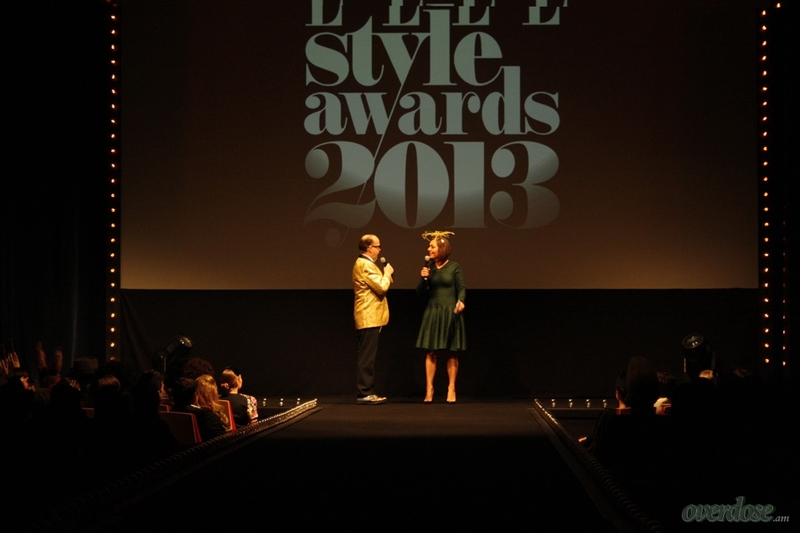 Elle Style Awards 2013, the Musical edition! I dreamed a dream of dancing silk skirts.. except it wasn’t a dream. 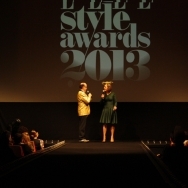 Yesterday night the annual ELLE Style Awards were upon us again. This time held in Muziekgebouw aan ‘t IJ, it seemed bigger than ever. The wine and vodka were flowing, the outfits were outrageous and the winners were ecstatic. Three awards were up for grabs last night, the ‘ELLE Personal Style Award’, the ‘ELLE H&M Stylist Award’ and of course, in true fashion spirit, there would be a ‘Belle or Beau of the Ball’. 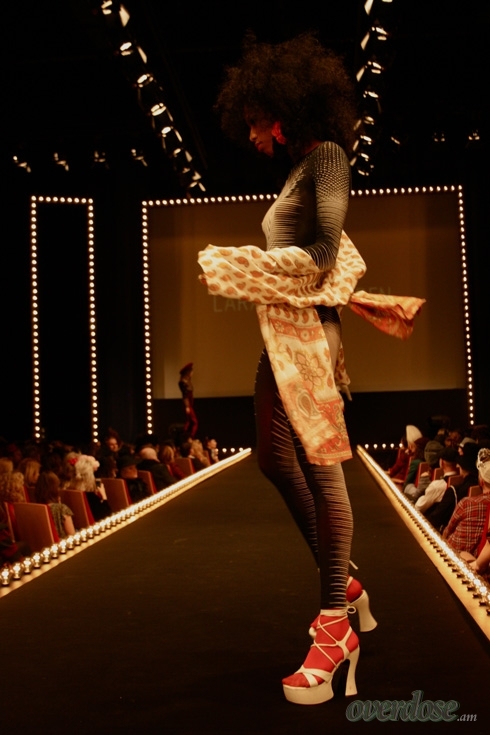 The last award included a gold pin tag, 2500 euros to spend at jeweller Schaap & Citroen and a big bottle of Moët & Chandon. Now as you may have learned throughout the years, I’m a huge champagne fan. So I followed the –rather hard– dresscode: no dressing in an all black ensemble, a headpiece and musical. Or so I thought. I showed up in a white suit, a modern version of Saturday Night Fever if you will. Turns out, you didn’t have to follow a musical theme, just wear a headpiece. Good thing my friend-crush Derek Blasberg (click this and you’ll have a friend-crush too; from 1.40 on it’s pure gold) encourages ‘winter whites’ otherwise I would’ve felt rather ridiculous. Next up was the ELLE Personal Style Award. 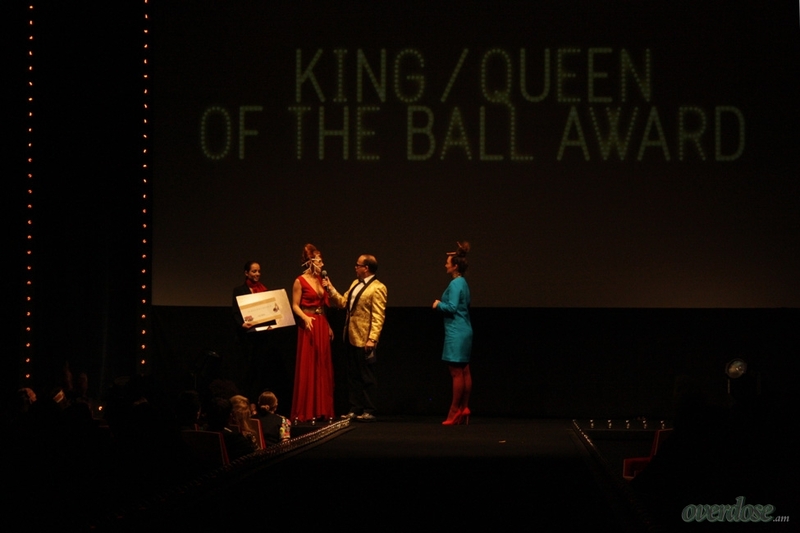 Nominees were Cata.Pirata, Georgina Verbaan, Tjitske Reidinga, Sigrid ten Napel and Ntjam Rosie. 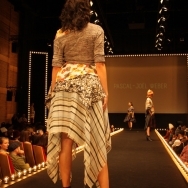 The winner was chosen because she’s very consistent with her fifties-like style. Always sophisticated and never cheap: Tjitske Reidinga. She wore a gold dress, her hair was loose and wavy, like a modern day Jayne Mansfield. She looked every bit the part of a winner. She also took a gold pin tag home, and can use a Citroën car for a week, much to her dismay, because she doesn’t know how to drive. 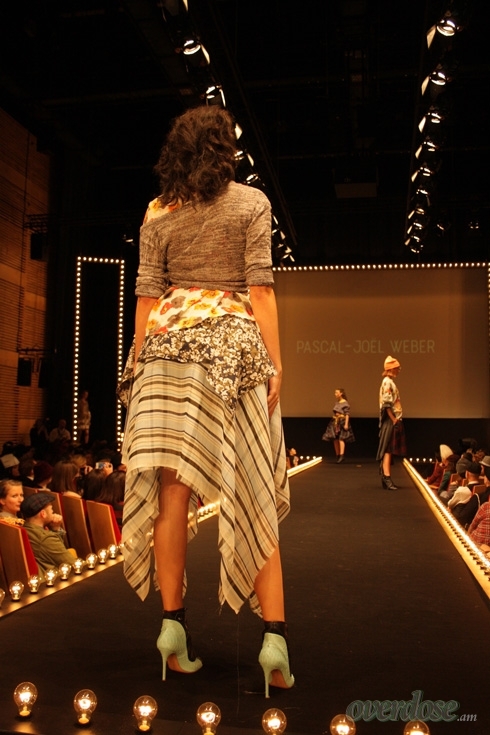 The stylist who wasn’t ‘Miserables’ at all! Last but not least: the ELLE H&M Stylist Award. The three nominees have been preparing for weeks. 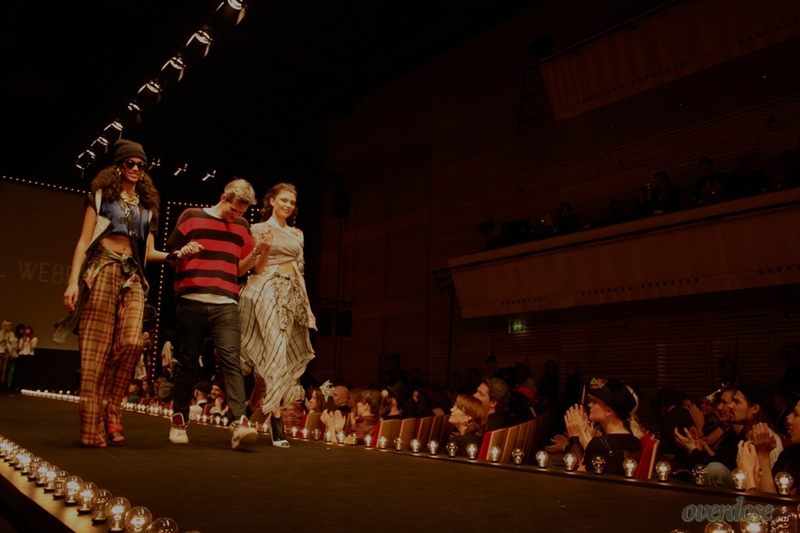 Each of them received a theme, and two musicals (see, this is where my confusion started) they had to translate into a modern day show including ten pieces from H&M. 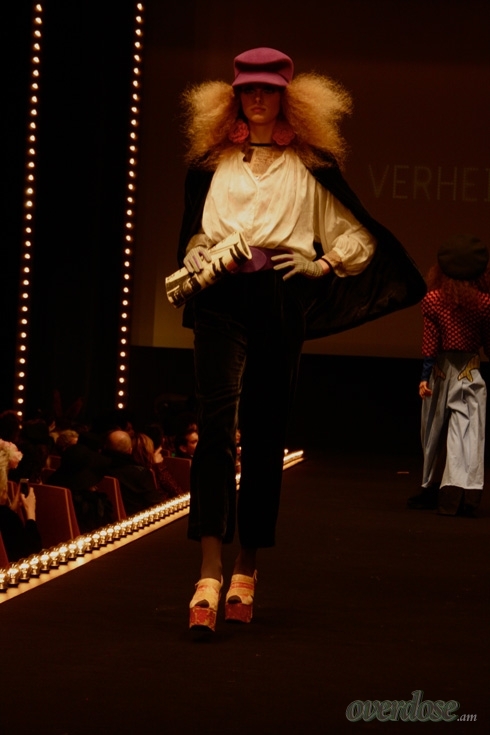 The nominees were Lara Verheijden, 22-year old UvA student who received boho as a theme along with the musicals Les Miserables and Hair. 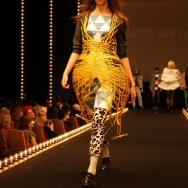 She translated this into huge waffle hair, berets, massive platforms and wide pants. It was very well executed, my only concern was that she seemed to have used a lot of her own clothes. 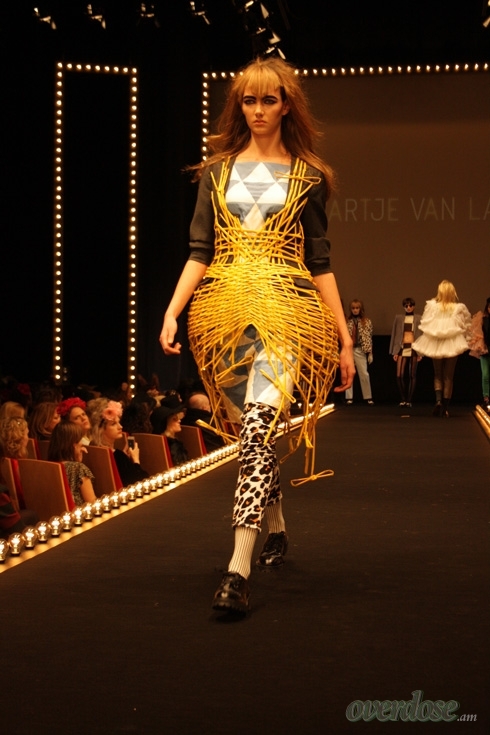 Next up was Maartje van Laar, 24-year old graduate from Akademie Vogue. She had beatnik as a theme, with Funny Face and West Side Story as musicals. 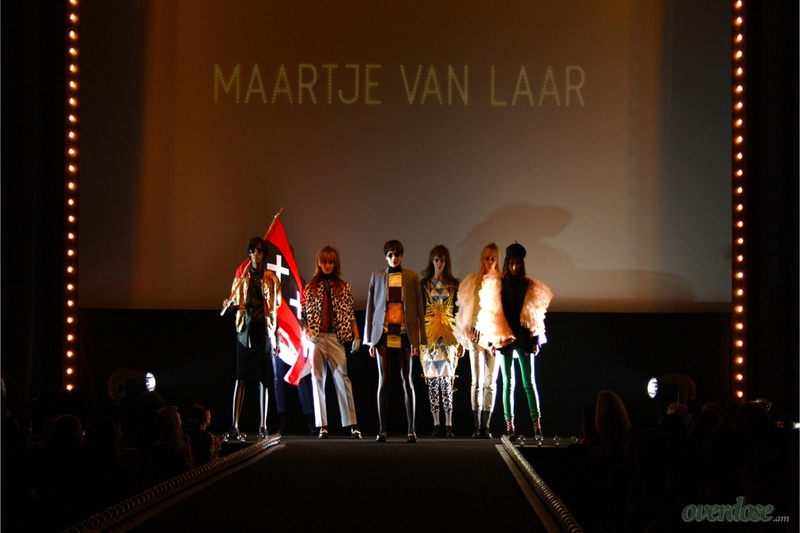 I didn’t really feel the connection, except for the action part; one of her models was waving around a flag of Amsterdam. 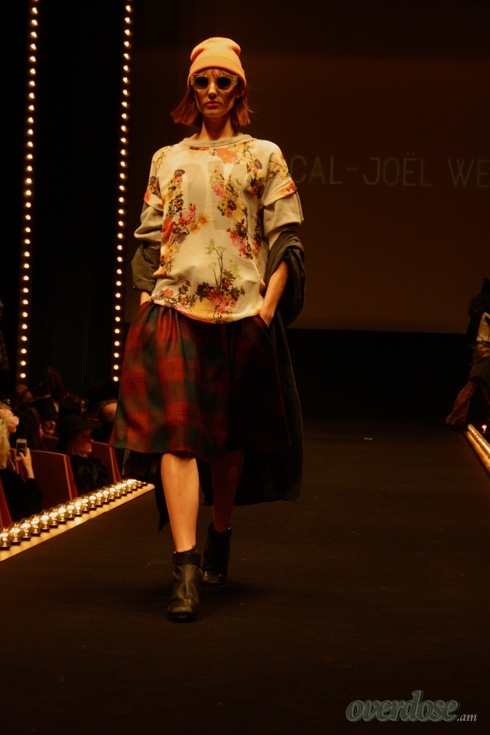 I expected a lot more.. Last up was Pascal-Joël Weber, 28 years old, originally from the U, S of A, he just finished a second internship with Viktor & Rolf. He was given the theme grunge with The Sound of Music and Jesus Christ Superstar. His show blew me away. You could see that he did a lot of research. 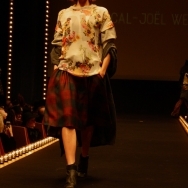 Plaid skirts, a lot of layering mixed with Nirvana-esque glasses. He was the only one who really sold the clothes to the audience. The judges agreed with me. After the show the infamous afterparty started and you could spot Iris and me doing a mean boogie on the dancefloor disco beats ‘till the wee hours.